Vignette Design has a very special guest blogger! My son Aaron was asked by his sister to make the dessert for a men's luncheon in a winery setting that she catered last week. He came up with individual cheesecakes baked in little French style canning jars! So without further ado, here's Aaron describing the creative process behind his creation. "I wanted something that would be memorable, multi-faceted, but also convenient for my sister, who was doing a luncheon somewhere far from her kitchen and therefore needed something with minimal prep. I've always enjoyed dishes in canning jars - actually, I like anything in jars. They just make me happy. If something is served in a canning jar, it's somehow more appealing - it's the type of serving vessel that provided the perfect combination of practicality and flair." "So I decided on individual cheesecakes baked in jars, topped with a fruit of some sort. My inspiration came from two of my many culinary heroes. Pim, who writes the fabulous blog Chez Pim, did a post on Fromage Blanc cheesecakes baked into jars, a post which I've read countless times and never had the chance to try out until now!" "David Leibowitz, who's the former pastry chef at Chez Panisse and who now lives in Paris, gave me the mascarpone cheesecake idea which I ended up using." "I've been on a Mascarpone kick for the past few weeks, ever since I discovered the luscious kind that they sell by the pint at the Cowgirl Creamery. Mascarpone is the Italian version of cream cheese, and I felt it would add the extra oomph to the tired old cheesecake recipe that, let's be honest, no one really likes anyway. Gild the lily with meyer lemon zest and the seeds from the Tahitian vanilla beans, and you have a homerun!" "With the custard recipe taken care of, I needed a fruit component to cut the richness. Quince is a fairly unorthodox fruit, described as a combination between an apple and a pear, with a uniquely floral aroma that makes it special. " "So, my sister ended up garnishing with poached quince right before serving. Preheat oven to 375F. Combine crumbs, butter and sugar and stir together. Press mixture into the bottom of a 9-inch round springform pan and bake for about 10 minutes. Cool completely before filling. Heat oven to 325 F and get out a large roasting pan that will fit the springform pan. Cover the sides and bottom of the springform pan very, very well with aluminum foil. In a food processor, blend sugar and cream cheese until smooth. Add in vanilla extract and the eggs, one at a time, until blended and smooth. Add in mascarpone and process again. Pour into the crust and place in roasting pan. Place the pan in the oven and fill halfway up the sides of the springform with warm water. Bake for 55 minutes at 325. Turn off the oven and leave the cake inside for 20-30 minutes, until the center just seems set but will still ripple when the pan is jiggled (I left mine in for a bit longer, about 35 minutes, since it seemed a bit loose). Remove from water bath and cool compeletely on a wire rack. When it has cooled, refrigerate overnight or until cold, before serving. Serves 12, but it could be more or less depending on how much you like cheesecake. Aaron's Cheesecake in Canning Jars turned out to be quite a hit! We got the jars at Sur La Table for $3 each. They would also make great containers for other catered dishes, such as salads for a summer event. Wow, they look absolutely delicious.....love the jars, I love that you can see the layers right through the glass. Mouthwatering! Well, the apple doesn't fall far from the tree now, does it. How creative and talented. Love his write up, too. Unique...await copiers, here they come! That looks just delicious and I love the canning jars, what a wonderful idea! 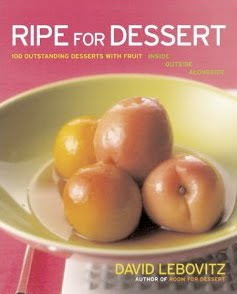 Fantastic idea - and I love any recipe that contains mascarpone and inspiration from DL. Great job!! What a wonderfully, creative idea and a fabulous post. I'm definitely going to make this recipe. Love love love that cheese ... especially on my home made scones with lemon curd!!! Looks so tempting....even though my youngest son declares one should never use "cheese" and "cake" in the same sentence! What a pro, Aaron! You and your sister and Mom make a great team...chef, dessert chef and table decorator. It is early here, and cold and snowing, so forgive my asking a question on the directions. The crust is baked then cooled and scooped into the jars and then the cheese mixture goes into the jars to bake with the water bath? Just fantastic! Love the whimsical touch of them in those adorable little canning jars. I know the the taste is divine w/ the delicate mascarpone cheese as in Tira Misu (spelling?). What a family! Thank you Aaron for a melt-in-your-mouth-morning! I love this idea! I think it's a great idea because so often people would love to take their desert home for later, this way it's ready to go. Thanks for the recipe and the super cute idea with the jars! I can't wait to try making it for my family. Beyond amazing ~ beyond delicious and beyond beautiful!!! Perfect jars.. need to order those asap! What a delightful dessert. I can see this at many types of gatherings. Thanks so much for sharing! Those look so cool and I am sure they taste wonderful. Such a marvelous idea and so creatively presented. I can even see a ribbon or string tied around the rim to give it a flair of a country style Cheesecake dessert. Two thumbs up and I'm sure your sister was delighted. Now that's a great brother and sister team..
Delores your candlesticks were a great find. One weekend I'll make it out to Candlestick and browse the antique fair. I'm in Menlo Park every day so on the weekends I usually stay around the valley, but I think this fair looks like its worth the drive out. what a great idea ,and you have such talented kids ,who are helping each other in life ,you must be very proud! Love this! I've had regular pie in jars but hadn't thought of doing a cheesecake. Re: directions ~ I would think that the crust combo is placed in each jar, filling added and then baked? Thanks for sharing! Sounds like they make a great team. I have done regular pies but I love the idea of cheesecakes, what a fun twist and these jars are great. I even have some of these. I am going to have to use this fabulous idea for a party. Let's see, when.....? Oh my this looks so good and what a charming way to serve it! Your son is on his way to a great career too! Yum...lemon zest! Another 5 star!